Earlier this month I had the pleasure of meeting around 130 National Co-ordinators of Governor Services (NCOGS) at their conference in Nottingham. We had a lively session about Ofsted’s new inspection framework – alongside an equally active Twitter exchange! I’m sure many of the topics that came up will be of interest to others, so, I thought it would be a good idea to share some of the discussion here. There were questions from the floor about short inspections and the possibility of one hanging over a weekend if it was converted to a full two-day section 5 inspection. That’s not ideal for the school and we can and will avoid this by making sure that, where possible, short inspections don’t start on a Friday and that we provide sufficient numbers of inspectors immediately if the short inspection converts to a full inspection. Delegates queried the prospect of a change to just 2 Ofsted judgements – effective or not effective – for schools. Apparently rumours are swirling around about this. We have no plans to move towards this. I understand there’s some concern that the outstanding ‘status’ allows some schools to carry on for too long without external scrutiny. Rest assured, Ofsted risk assesses outstanding schools after 3 years, and remember that all schools may be inspected if either HMCI or the Secretary of State has concerns about their performance. It seems there is still some confusion on governors’ involvement at the feedback stage of inspections. So allow me to clarify the position once again. Our lead inspectors will welcome as many governors as possible to be present at the final feedback meeting. And as I’ve said before, but will restate here, following an inspection, any governors entitled to be at the final feedback meeting should be privy to the draft inspection report. I was quizzed about Ofsted’s current position regarding inspecting academies in trusts. Lead inspectors make sure that they understand the governance structure in schools and academies when they make their first telephone call to the headteacher. Essentially, whatever the structure, we’d like to listen to the views of representatives from the various tiers such as trustees or the local board to find out their views and look at the contribution they make to the school’s performance and improvement. This is set out in the school inspection handbook (see paragraphs 37 and 143). A number of delegates pointed out that some inspection reports appeared to praise operational tasks that governors strayed into. They asked what Ofsted expects governors to do to ensure that they understand the quality of teaching and learning in their school. I agree that it is unhelpful if our reports seem to be praising operational practice by governors such as lesson observations or book scrutiny. Our training for inspectors and new quality assurance procedures should put an end to that. 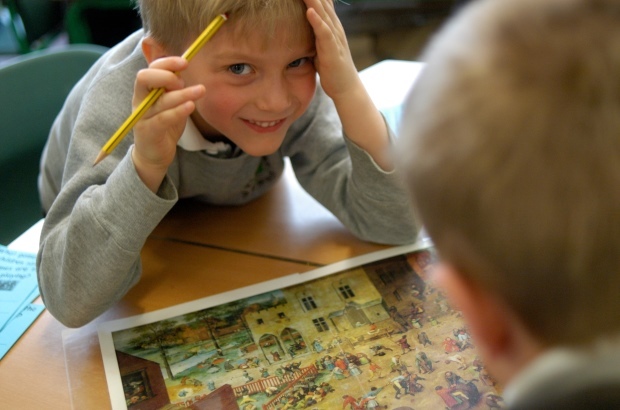 Governors play an important strategic role in schools, both supporting and holding school leaders to account. But I accept that in small schools, governors tend to be more hands-on. Inspectors will be sensitive to this when they consider the work of governors, but we wouldn’t expect governors to be going into lessons to formally observe teaching or scrutinise pupils’ books. I think I may have heard some cheering at the conference when I confirmed that we’re not planning to regularly reissue the inspection handbook under this framework. I’m looking for – and have no doubt that the sector would also like – some stability for the next two to three years, notwithstanding any legislation that may require us to make changes. There’s considerable debate about the type of evidence that inspectors gather to assess the effectiveness of governance in schools. Do they understand the issues the school faces? How is good and excellent work recognised? Do governors challenge school leaders well by asking probing questions about pupil outcomes, assessment arrangements, safeguarding procedures etc? What other different sources of information do governors use to find out the views of parents, staff and children? Are governors aware of how the school’s finances are being managed or how staff are recruited? You won’t necessarily get all of these questions on every inspection and this is in no way an exhaustive list either, but hopefully this gives a flavour of what to expect. So, my overall message to governor services coordinators, school leaders and individual governors is that good school leaders, whether headteachers or governors, should ask themselves the same questions that inspectors would ask: What are the strengths of our school (how do we know) and what needs to improve? Meanwhile, our inspectors should ask ‘What have you done’ rather than ‘Why haven't you done…’ and they’ll be looking at the evidence you provide rather than looking for specific things. Finally, let me take this opportunity to introduce our new National Lead for Governance, Belita Scott HMI. Belita will be focusing on governance in schools and colleges; especially the characteristics of effective governance in different contexts. I'm sure she will have important insight to share over the coming months as she settles into post. To keep up to date you can sign up for email alerts from this blog. You can also follow Sean on Twitter and Ofsted on Twitter. I feel that this update on Ofsted crystallises what we need to do and what we need to know. Having attended the evidence gathering at the Infant School and the feedback sessions I am confident that the inspection team and in particular the Lead Inspector were role models for Ofsted! This is very timely and clear information. This is so clear with expectations of Governors and Inspectors.